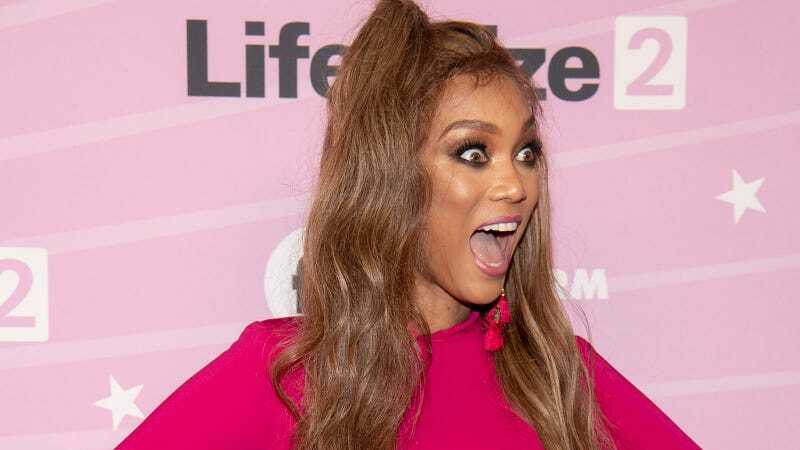 Portmanteau junkie and facial contortionist Tyra Banks is set to launch a new venture, Modelland, and I cannot for the life of me figure out what it is. Me (reading and talking to myself): What is Modelland? Me: But what is Modelland? Me: But what is it? Me: But what is it? Modelland??? Me: I’m sorry, what exactly is Modelland? Me: I don’t get it. What is Modelland? Me: Now compare yourself to Disney. Nope. Can’t wait to go!